Maximize your time in Rome with an e-Bike. Rise up early in the morning to experience the best of Rome at sunrise! 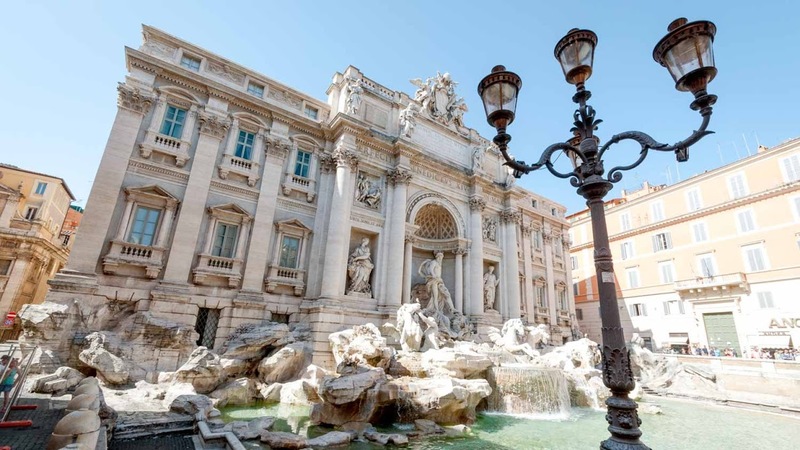 The Trevi Fountain is a tourist hotspot in Rome. Definitely one to check off any sightseeing list. Just make sure you toss a coin in the fountain before you leave! 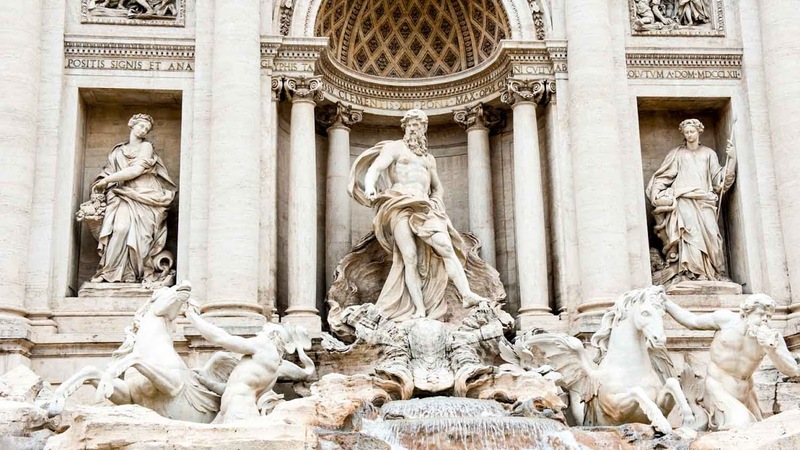 Here's why, plus some other facts about this world-famous fountain. 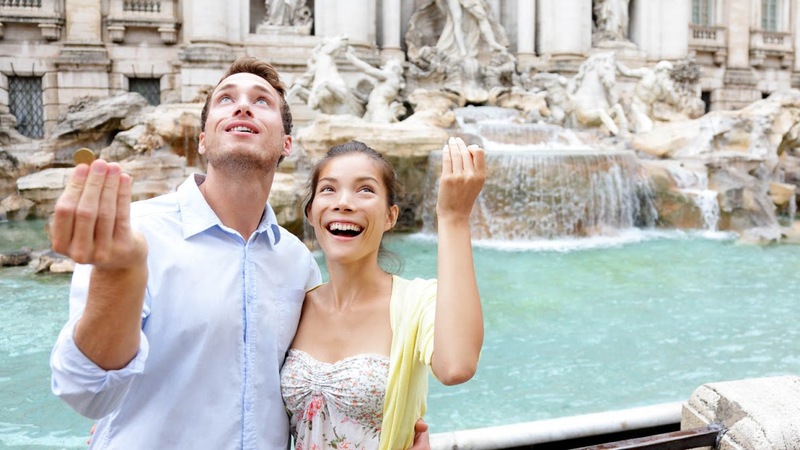 The old tradition goes that tossing a coin over your shoulder into the fountain will ensure a safe return to Rome. Two coins will bring you love. And three... wedding bells! The fountain is now swept every day, and on average €3000 is collected! The proceeds go to a Catholic charity called Caritas. Don't take coins from the fountain! This is no myth. Not only is it thought of as bad luck, it's illegal! Don't risk the wrath of the gods, or the nearby security guards! The fountain is 85 feet tall and almost 65 feet wide! Massive amounts of water spill over the sides every day! Sensibly, the water is now recycled back into the fountain. Of course you can visit this famous site at any time of the year, however, a warm summer evening is an ideal time. Note that the Fountain is currently undergoing restoration and is partly obscured by scaffolding. Be prepared to see it in its fully restored glory at the end of 2016. 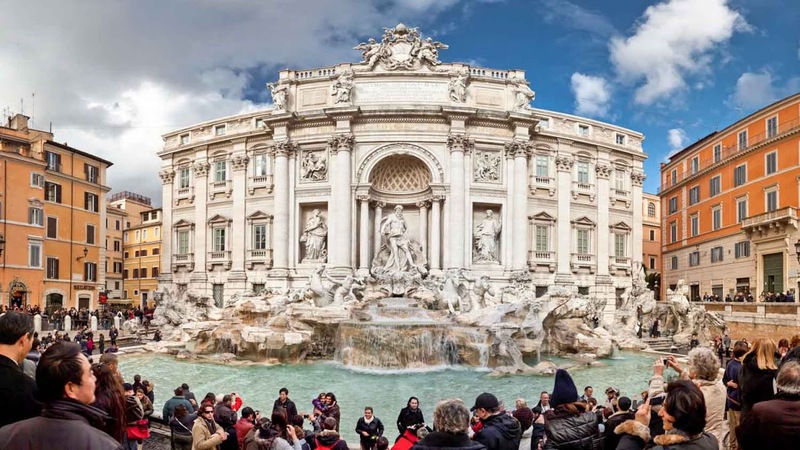 There are a great many tours of Rome - walking and otherwise - which include the Trevi Fountain as part of their city-wide sojourn. It's well worth it to become more familiar with the city and its deep history. Come take a gander any time of day or night. It's not necessary, but recommended for those who delight in historical facts and stories. Police guard the Fountain 24 hours a day. If you get tempted to do a Dolce Vita-move, resist, or you'll get fined. Excellent tour of ancient Rome and popular sites! Was a wonderful tour of the Colusseum, Roman Forum, and then walk to Trevi Fountain and Piazza Navona. I had three chidlren, 7, 11, 13, and they all enjoyed it. Were given free time to wander and take photos, due to the time of year. Were given excellent information, our guide was great and easy to understand! Was a fantastic way of seeing most of ancient Rome! Excelllent first tour of Rome. Perfect!! Emma was fantastic! Easy to understand, fun to listen to, great for our entire family! She had such great information, a fun attitude, and was great to listen to. The tour took us to all the great places on our first night there and helped reassure me that walking in Rome would be the best way to get around to see all the sights. I would definitely recommend this tour to anyone going to Rome! Don't miss this activity - it's worth it! 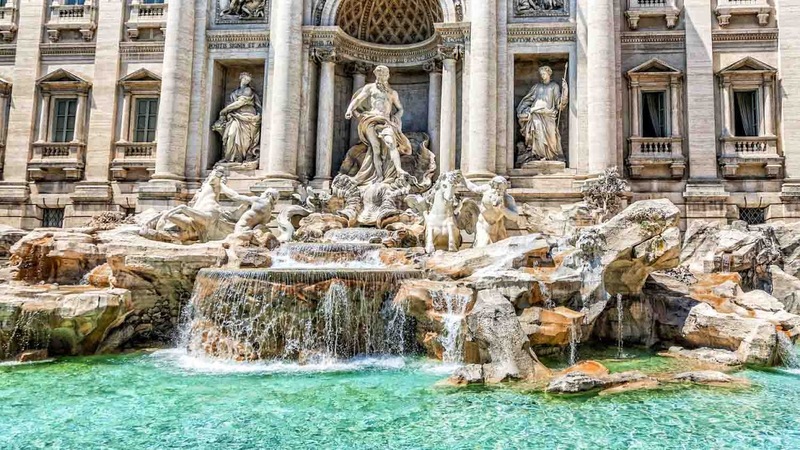 This is the ultimate whistle stop tour of Rome! Jirka, our guide, was friendly, patient and full of information on Rome, the facts, figures and history of the places to which he takes you, that makes the entire experience that much more memorable and immersive. This activity is a must, and is that much more enjoyable at night. Out it on top of your list! Cathy was an awesome and very infomative guide. Doing our bike tour during the first night in Rome was the best thing ever. It allowed us to see most of the monuments in Rome at night, and we were able to explore further later during our stay.